And where did the idea for this canon come from? Was it invented out of thin air by modernist theologians working on the 1983 Code? Hardly. Communion for non-Catholics was put into the 1983 Code because it had already been the legally allowed practice of the Conciliar Church since at least 1967. …the gaining of needed grace sometimes commends it [common worship]. The practical course to be adopted, after due regard has been given to all the circumstances of time, place, and persons, is left to the prudent decision of the local episcopal authority, unless the bishop's conference according to its own statutes, or the Holy See, has determined otherwise." (Decree on Ecumenism, D. 32, n. 8). …since the sacraments are both signs of unity and sources of grace the Church can for adequate reasons allow access to those sacraments to a separated brother. This may be permitted in danger of death or in urgent need (during persecution, in prisons) if the separated brother has no access to a minister of his own communion, and spontaneously asks a Catholic priest for the sacraments — so long as he declares a faith in these sacraments in harmony with that of the Church, and is rightly disposed. In other cases the judge of this urgent necessity must be the diocesan bishop or the episcopal conference. (p. 55). 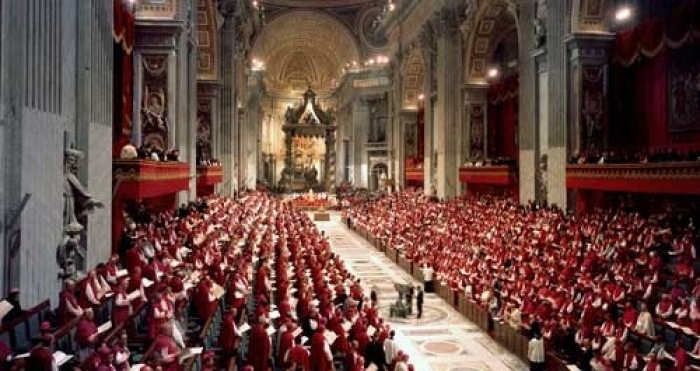 "We regard the Ecumenical Directory not as a collection of advisory principles which one can freely accept or ignore, but as an authentic instruction, an exposition of the discipline to which all those who wish truly to serve ecumenism should submit themselves" (<L'Osservatore Romano>, 14 November 1968). Paragraph 55 of the directory was then “clarified” in a 1970 document from Paul VI’s SPUC entitled, “Declaration On The Position Of The Catholic Church On The Celebration Of The Eucharist In Common By Christians Of Different Confessions”, Dans Ces Derniers Temps. No. 55 of the Directory allows fairly wide discretionary power to the episcopal authority in judging whether the necessary conditions are present for these exceptional cases. If cases of the same pattern recur often in a given region, episcopal conferences can give general directions. More often, however, it falls to the bishop of the diocese to make a decision. He alone will know all the circumstances of particular cases. Apart from danger of death, the Directory mentions two examples, people in prison and those suffering persecution, but it then speaks of "other cases of such urgent necessity." Such cases are not confined to situations of suffering and danger. Christians may find themselves in grave spiritual necessity and with no chance of recourse to their own community. For example, in our time, which is one of large-scale movements of population, it can happen much more often than before that non-Catholic Christians are scattered in Catholic regions. They are often deprived of the help of their own communion and unable to get in touch with it except at great trouble and expense. If the conditions set out in the Directory are verified, they can be admitted to eucharistic communion, but it will be for the bishop to consider each case. 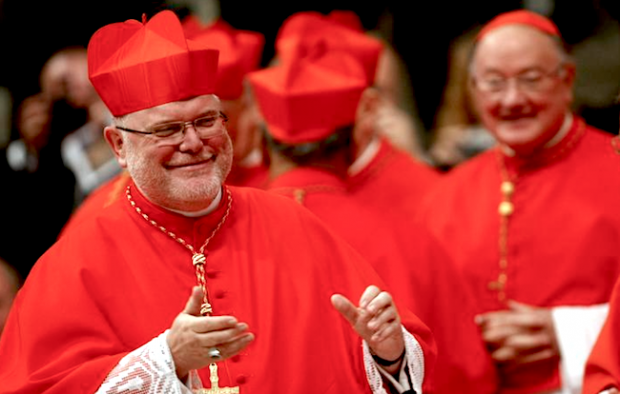 Thus, we can see the recent decision of the German Bishops Conference to allow Protestant spouses to receive Holy Communion (in “certain cases” of course) is really just a natural development of Vatican II. For Vatican II allowed the concept in principle for Protestants and explicitly for Eastern schismatics. If a Neo-Catholic apologist tries to tell you that this is just another misinterpretation of the Council, we have Paul VI himself explaining to us through his approved directory in 1967 that this is precisely what Vatican II intended and that he was merely implementing the Council in allowing Communion for Protestants. We also see, astonishingly, the expansion of the authority to give Communion to Protestants taking place even between 1967 and 1973. By 1973 the bishops already had carte blanche to determine under what situations Communion for Protestants was permissible as long as they bootstrapped it to some sort of “urgent necessity”. In addition, as long as these “exceptional cases” of Protestant Communion were common enough in an area, the episcopal conferences were even allowed to lay down guidelines for the practice as if it should be routine. This is exactly what Cardinal Marx and the German Bishops Conference are doing with Protestant spouses of Catholics. Hopefully this little trip down memory lane will help Catholics realize that the latest shocking news out of Germany has actually been around, though much less publicized, since Vatican II itself. Thus proving yet again that the root of all of our current problems in the Church, despite what our Neo-Catholic friends may tell us, is, and always has been the Council.